Dr. Sung joined the Mechanical Engineering Department in 2009. He served as a faculty member in the Department of Mechanical and Aerospace Engineering at Case Western Reserve University from 1999 to 2009. He received his B.S. in Mechanical Engineering from the National Chiao Tung University in 1986, M.S.E. in Mechanical Engineering from the National Taiwan University in 1988, and M.A. and Ph.D. in Mechanical and Aerospace Engineering from Princeton University in 1991 and 1994, respectively. 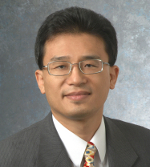 Dr. Sung’s research and teaching interests have included structure of chemically reacting flow, catalytic combustion, micro-propulsion, laser diagnostics, supersonic combustion, unsteady and high-pressure flame phenomena, soot and NOx formation, flame extinction and ignition, development of detailed and reduced chemical kinetic models, alternative fuel utilization and combustion, and clean combustion technology. His research is funded by various federal and industrial sponsors. He is a Fellow of the American Society of Mechanical Engineers and the Combustion Institute, an Associate Fellow of the American Institute of Aeronautics and Astronautics (AIAA), and an elected member of the Connecticut Academy of Science and Engineering. He received the 1998 Best Paper Award from the 12th Microgravity Science and Space Processing Symposium at the 36th AIAA Aerospace Science Meeting, the National Science Foundation early CAREER development award in 2002, the 2004 and 2006 Northern Ohio AIAA Best Paper Awards, and the Distinguished Paper Award in Colloquium of Laminar Flames from the 31st International Symposium on Combustion in 2007. He has also received awards for teaching including the Graduate Teaching Award of the Case School of Engineering and the Case Western Reserve University Srinivasa P. Gutti Memorial Engineering Teaching Award. He is author or co-author of over 180 archival publications in combustion, propulsion, and sustainable energy.